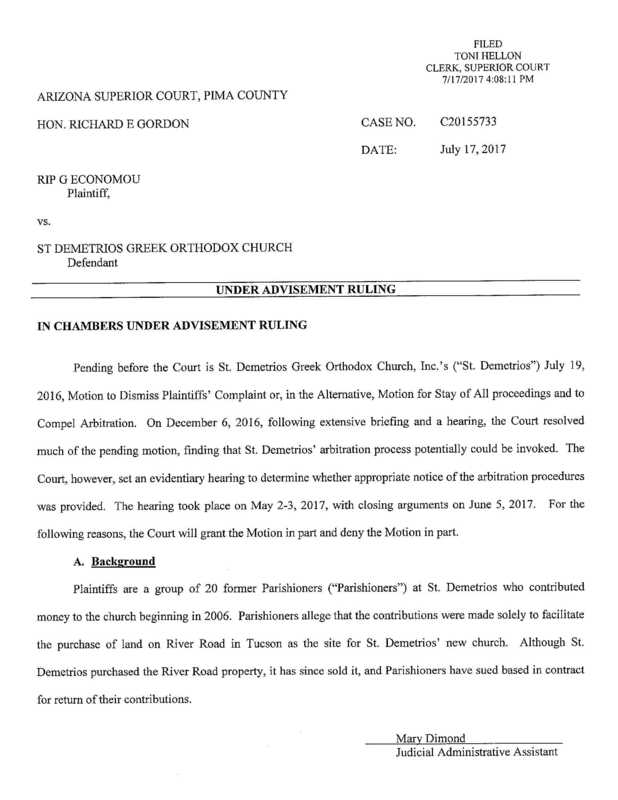 If the New York courts had followed this doctrine in the Declaratory Judgment action filed challenging the imposition of the 2003 Charter by the EP without the approval of the Clergy-Laity Congress in accordance with the revision provisions of the previous Charter the GOA would not be in the situation it is in today. 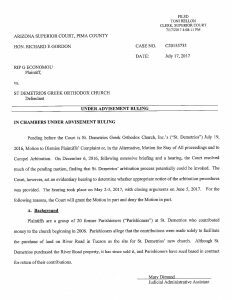 The argument Plaintiff’s made in the Charter controversy was that the previous Charter, which had been agreed to and approved by both the Patriarchate and the Archdiocese through the Congress constituted a contract whose revision provisions requiring assent by both the Congress and the Patriarchate could not be unilaterally abrogated by the Patriarchate. By showing his disrespect for the decisions of his American Eparchy, Patriarch Bartholomew risks losing the support not only of the faithful in the parishes, but the support of the major donors of the Archdiocese of America such at FAITH: The Endowment for Orthodoxy and Hellenism and Leadership 100. Perhaps the Patriarch believes that he needs to show everyone that he has “absolute power” over his colony in America. Hopefully he will reconsider and back away from this “crisis” of his own making. In Measure for Measure, Shakespeare has Isabella denounce the Duke’s deputy for being corrupted by power: “It is excellent to have a giant’s strength, but it is tyrannous to use it like a giant” (1623). “He who troubles his household shall inherit the wind, and the fool will be servant to the wise.” Proverbs 11:29.